I absolutely love this deck. 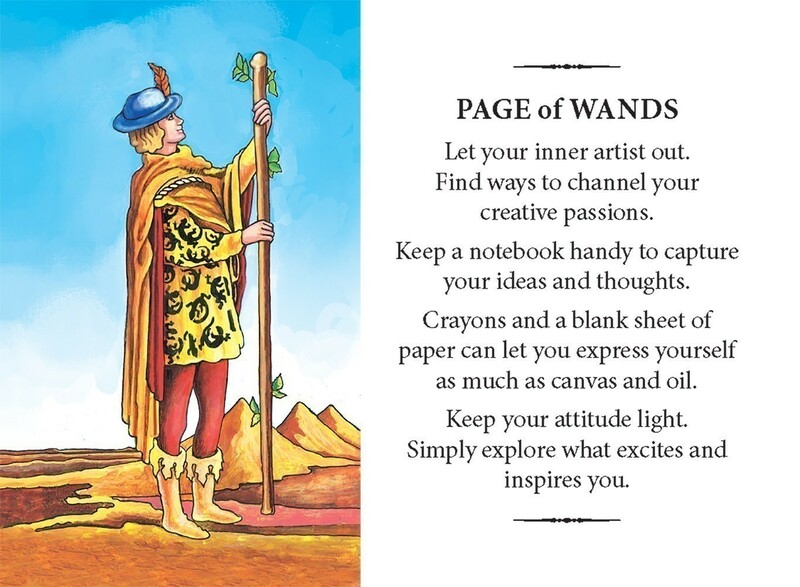 Though I’ve been exploring the Tarot for about seven years now, I still don’t have everything memorized to a T(arot). 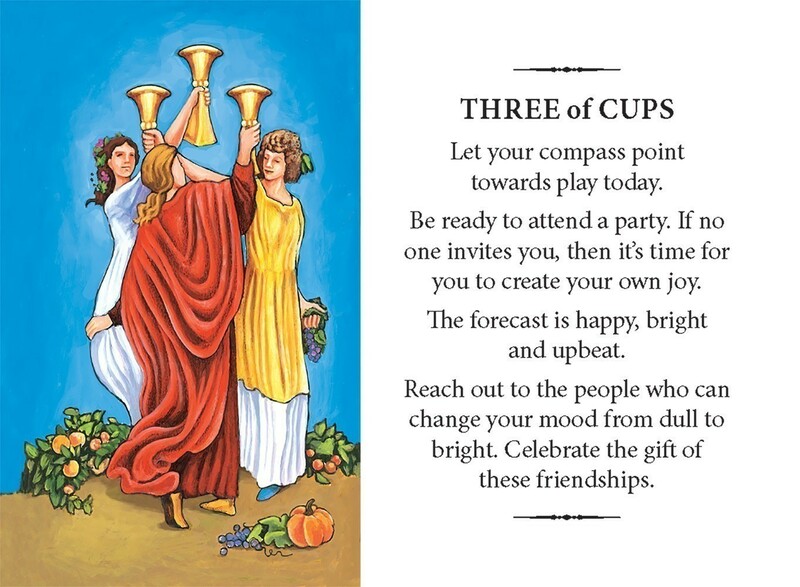 The Practical Tarot Wisdom deck does that work for me. 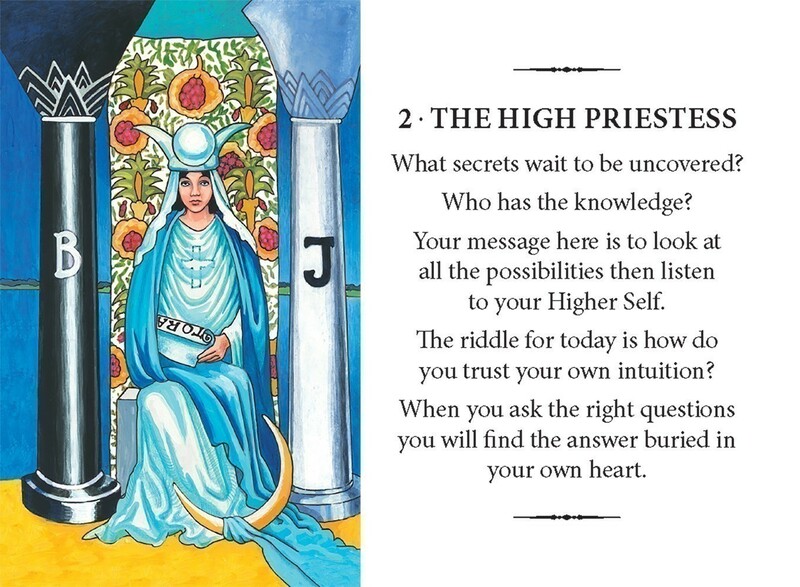 I don’t have to worry about looking up the ways the cards can be read from whatever Tarot book is easiest to get to. It’s all right there on the same card. While this isn’t a deck I could use with someone else (I would be obviously cheating) it’s a great deck for me to practice with. Even with the lettering splitting the card in half, the deck is still smaller than the original. It fits comfortably in my purse. The thick cardboard of the does not add much to the weight of the cards. It’s one of my favorite boxes, actually, because of the bright colors and the sturdy material. The back of the cards are kept simple, a deep blue, starry night. But it’s the front that gets exciting. 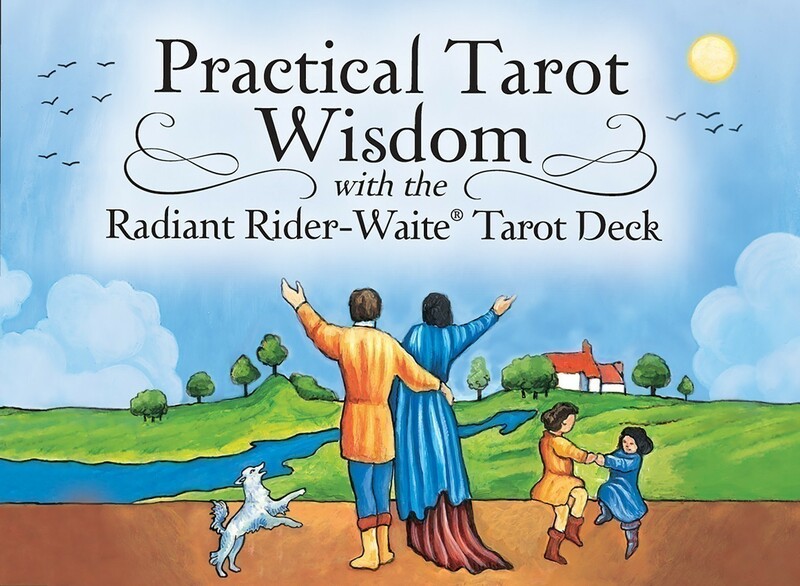 ⅓ of the card is taken up by the Radiant Rider-Waite card and the roughly ⅔ remainder of the card has about four sentences next to it. I would buy these cards for myself for sure. In fact, these may be the most helpful cards that I own. In short: Not for professional reading but perfect for the beginner or those who need to brush up on their cards. 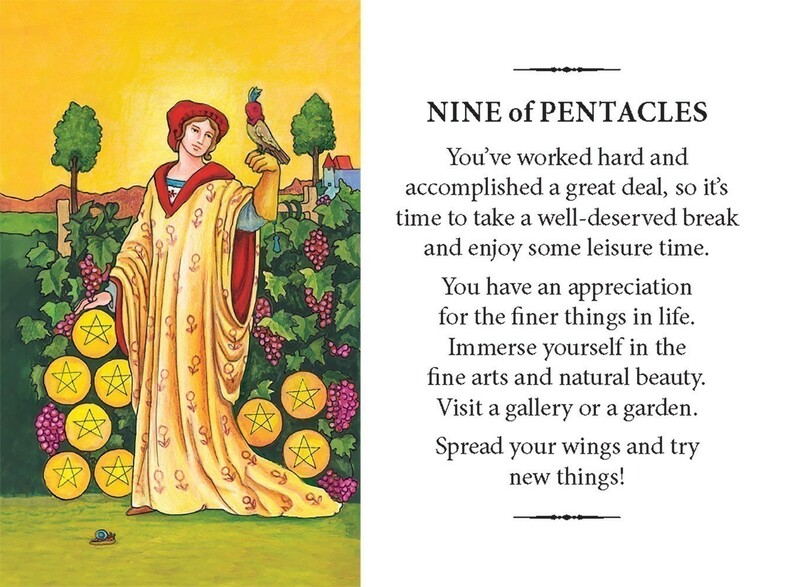 This tarot deck is perfect for the beginner, giving a clear reading on the right hand side, while showing the card on the left side. I love this deck to bits. 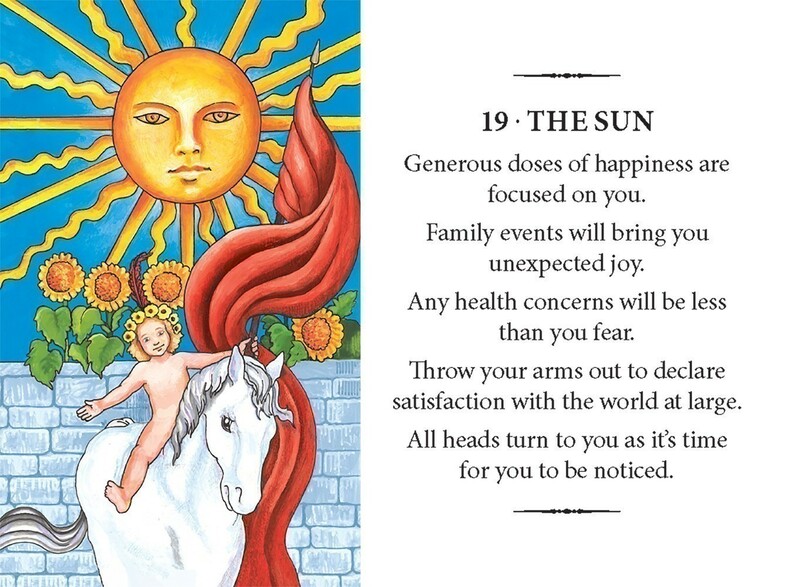 I am enjoying working with this small tarot deck. 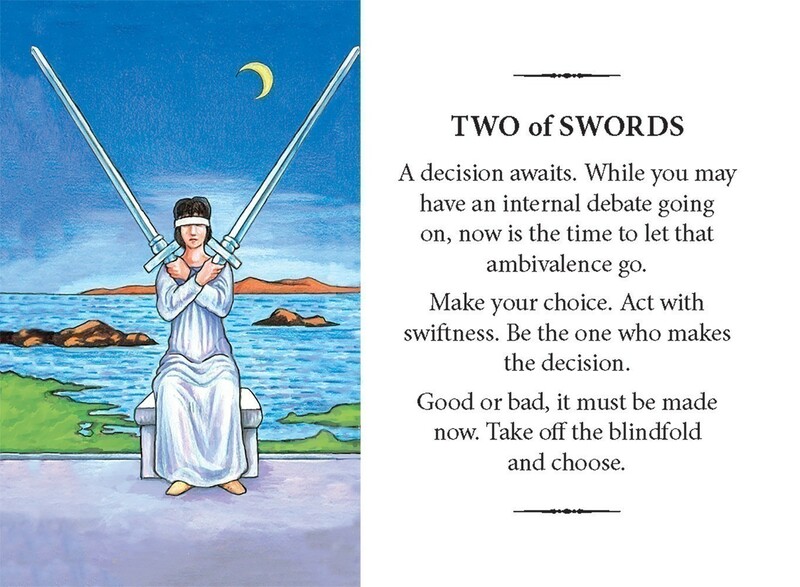 On one side of the card while viewing it horizontally is a Rider-Waite-Smith card image. On the other side are keywords and scenarios to help you understand the card. It is a wonderful way for beginners to learn and intermediate/advanced readers to refresh their understanding of the cards. The cards come in a sturdy box. The cards themselves have a nice feel and shuffle easily overhand. 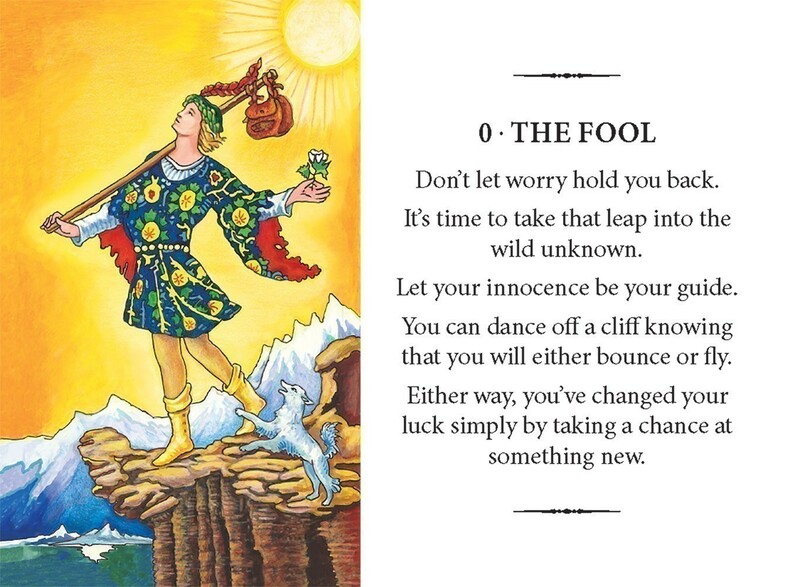 All in all the Practical Tarot Wisdom deck takes a fun and easy approach to learning/studying the meanings of the cards. Let's face it. We all need a review from time to time!